Grand Rounds at Children's Healthcare of Atlanta at Egleston Hospital was very interesting today. Dr. Mark Zonfrillo of Alpert Medical School of Brown University and Hasbro Children's Hospital spoke on Child and Adolescent Road Traffic Safety_a topic dear to the heart of most pediatrician and 21st Century parents and grandparents. 1] car restraint systems for children should be used all the time, even short neighborhood trips. 2] apparently fathers are less diligent than mother's in proper and regular use of children car restraint systems/car seats. 3] a car seat should be used until the child exceeds either the height OR weight standards of the individual car seat. 4] car seats that require a TETHER for proper use must use the tether for safety or the child may suffer avoidable injury or fatality otherwide. 5] booster seat use age range can go from 4 years through 10 years of age. 6] children are safest in the back seat of a vehicle and should not ride in the front passenger seat until 13 years of age. 7] car seats with five-point strap restraints are the safest restraint seat, especially facing the rear of the vehicle according to seat specifications. 8] Teen drivers' greatest driving risk is their LACK OF EXPERIENCE, which makes the first 6 months of their driving the period of greatest risk of fatality or injury. 9] the second greatest risk factor for teen drivers are other teen passengers in the vehicle. The risk and the number of crashes increase with increasing numbers of teen passengers in the vehicle with a teen driver. Apparently GA law allows no teen passengers in a vehicle with a teen driver in the first year of driving. In South Carolina, one teen passenger is allowed in the vehicle with a teen driver. 10] GA has a midnight teen curfew for teen drivers. 11] To correct inexperience, teen drivers need a minimum of 30 to 50 hours of SUPERVISED driving by an experienced adult driver. 12] Teens because of their inexperience driving are poor at hazard detection and anticipating or scanning for hazards when driving. 13] Teens have poor insight into the SIGNIFICANCE of their inexperience driving. 14] 16 years is the minimum age in GA for unsupervised teen driving. It was quite a presentation and very sobering. It reminds me when my daughters were teens, my wife and I had them take a performace driving course at the Atlanta Motor Speedway, https://atlantamotorsportspark.com/teen-driving/. We do what we can! But I really like the idea of 30-50 hours of supervised teen driving by a parent or other experienced adult from the initial point of teen licensing. We are in the midst of a measles outbreak here in the US, with cases being reported in New York City, New York state, and Washington state. In 2018, preliminary numbers indicate that there were 372 cases of measles — more than triple the 120 cases in all of 2017 — and already 79 cases in the first month of 2019 alone. Here are four things that everyone needs to know about measles. This is a point that can’t be stressed enough. A full 90% of unvaccinated people exposed to the virus will catch it. And if you think that just staying away from sick people will do the trick, think again. 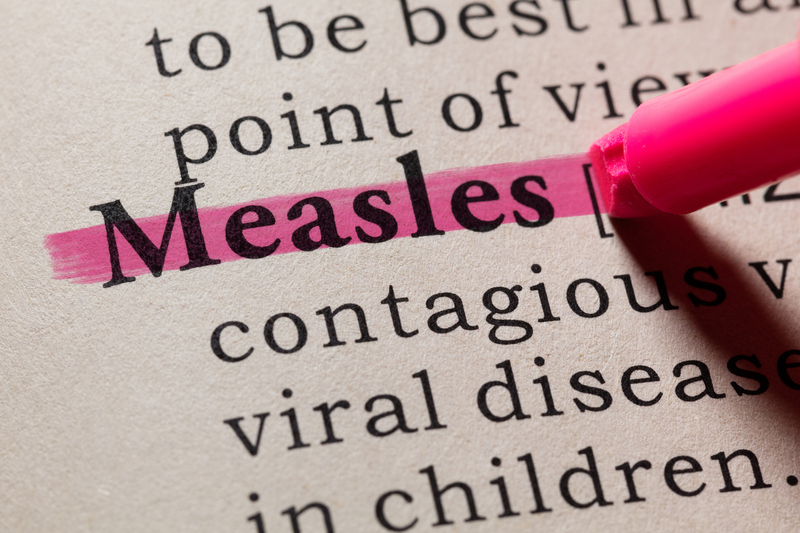 Not only are people with measles infectious for four days before they break out with the rash, the virus can live in the air for up to two hours after an infectious person coughs or sneezes. Just imagine: if an infectious person sneezes in an elevator, everyone riding that elevator for the next two hours could be exposed. The first symptoms of measles are a high fever, cough, runny nose, and red, watery eyes (conjunctivitis), which could be confused with any number of other viruses, especially during cold and flu season. After two or three days people develop spots in the mouth called Koplik spots, but we don’t always go looking in our family members’ mouths. The characteristic rash develops three to five days after the symptoms begin, as flat red spots that start on the face at the hairline and spread downward all over the body. At that point you might realize that it isn’t a garden-variety virus — and at that point, the person would have been spreading germs for four days. Five percent of people with measles get pneumonia. This is the most common cause of death from the illness. One to two out of 1,000 will die. There is another possible complication that can occur seven to 10 years after infection, more commonly when people get the infection as infants. It’s called subacute sclerosing panencephalitis or SSPE. While it is rare (four to 11 out of 100,000 infections), it is fatal. The measles vaccine, usually given as part of the MMR (measles-mumps-rubella) vaccine, can make all the difference. One dose is 93% effective in preventing illness, and two doses gets that number up to 97%. In general the first dose is usually given at 12 to 15 months and the second dose at 4 to 6 years, but it can be given as early as 6 months if there is a risk of exposure (as an extra dose — it doesn’t count as the first of two doses and has to be given after 12 months), and the second dose can be given as soon as 28 days after the first. The MMR is overall a very safe vaccine. Most side effects are mild, and it does not cause autism. Most children in the US are vaccinated, with 91% of 19-to-35 month-olds having at least one dose and about 94% of those entering kindergarten having two doses. To create “herd immunity” that helps protect those who can’t get the vaccine (such as young infants or those with weak immune systems), you need about 95% vaccination, so the 94% isn’t perfect — and in some states and communities, that number is even lower. Most of the outbreaks we have seen over the years have started in areas where there are high numbers of unvaccinated children. If you have questions about measles or the measles vaccine, talk to your doctor. The most important thing is that we keep every child, every family, and every community safe. It is not too late to get a flu shot if you have not received a flu immunization during the current flu season. Receiving a flu vaccine every year offers the best available protection against flu and has been shown to reduce illnesses, hospitalizations and deaths in people of all ages. If you or someone in your family are diagnosed with a respiratory illness even though you've had a flu shot, flu test confirmed or not, the flu vaccine was effective, especially if they are seen by a doctor and sent home with minimal treatment. If you or someone in your family have flu-like symptoms that unless instructed by a physician to be given for other medical reasons, you should avoid aspirin and aspirin-containing products (such as Pepto- Bismol, Kaopectate and Alka-Seltzer, for example), which have been associated with rare but severe complications when taken by children and adolescents with flu. If your child needs evaluation at a Children's Healthcare of Atlanta facility when your routine office is closed, it is better to seek care at Children’s urgent care locations as an alternative to the Emergency departments. 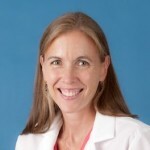 Families can visit choa.org/locations for more specifics regarding the Urgent Care centers or use the Children’s app on their mobile phones to check wait times at the different locations. Please visit these resources at choa.org/flu to learn more about influenza.